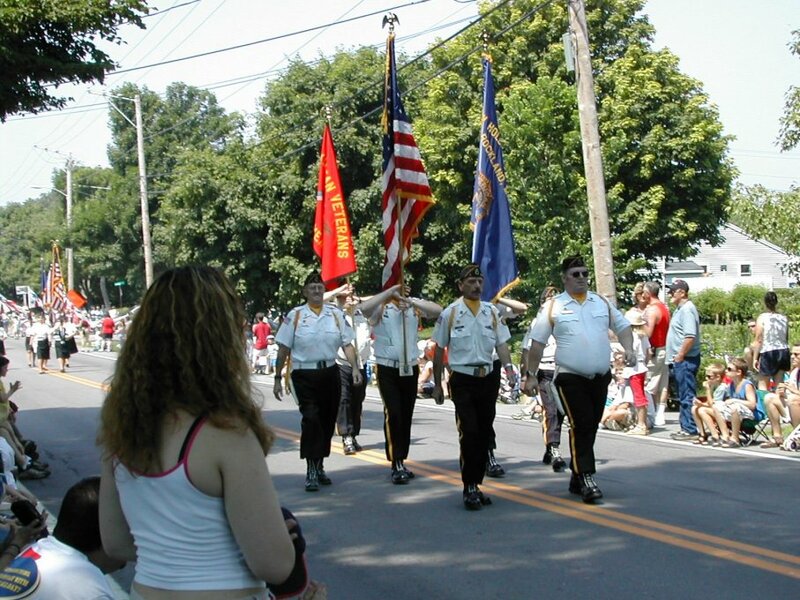 Thomaston is the mid-coast community that provides the largest parade and day of fun for the residents and visitors of the surrounding towns. 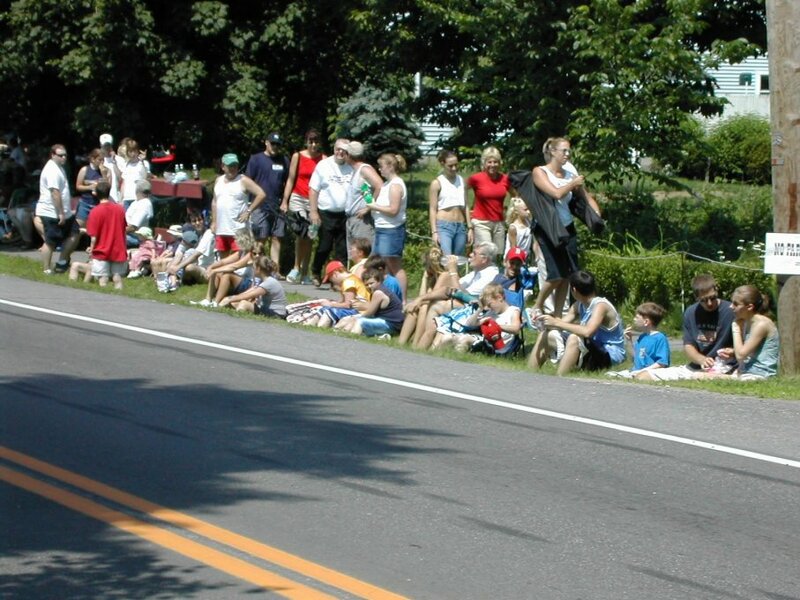 The day begins with a morning breakfast at the Masonic Lodge on Main Street followed by foot races, bicycle races, pet contests, decorated bicycle contests, face painting and many other activities for both children and adults. People begin gathering for the parade at about 9:30 A.M. and by ten o'clock, when the parade actually begins, they will stand and sit as many as six people deep along the entire parade route. To the right you see the marching band of Georges Valley High School which is merging with the Rockland District High School beginning September 2011 and will be known as the Ocean Side High School after that. 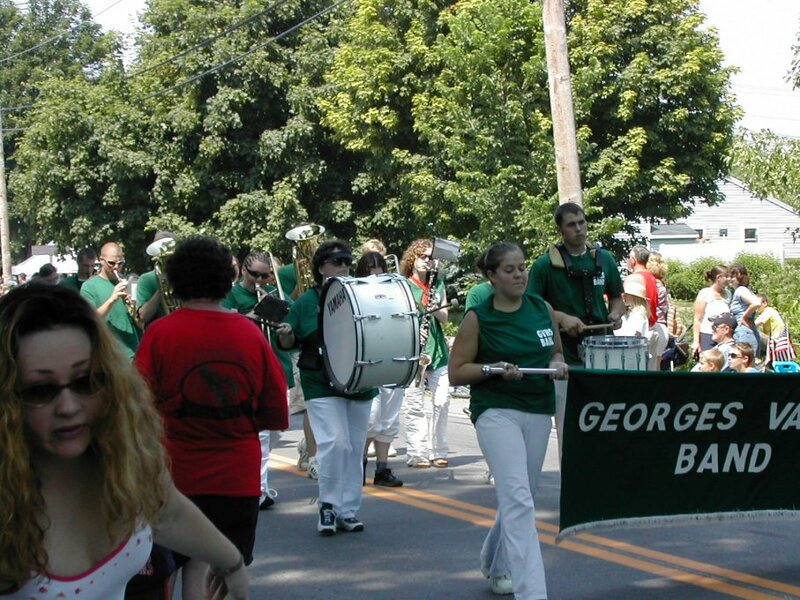 Pictured is one of the area marching bands which participated in this parade picture that was taken in 2002. There is always an abundance of flags throughout the parade and the town itself has flags in stands every few feet along the business section of Thomaston. Almost every Main Street house has either a flag flying or bunting hanging in celebration of our nation's Independence Day celebration. 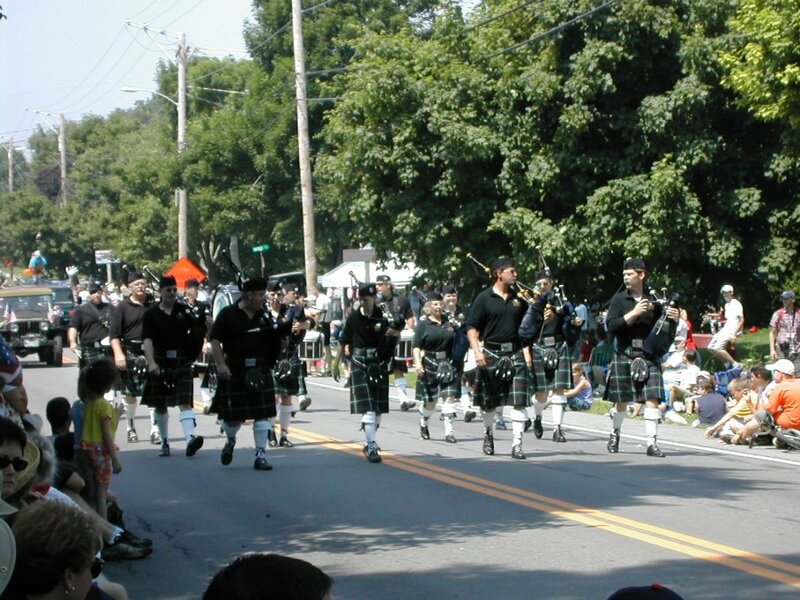 Bagpipe players are always part of the parade as is a group of Revolutionary War historic reenactors who shoot ancient rifles that are very loud. Decorated floats abound and many people on them throw small gifts of beads, candy or gum for the children along the route to enjoy. 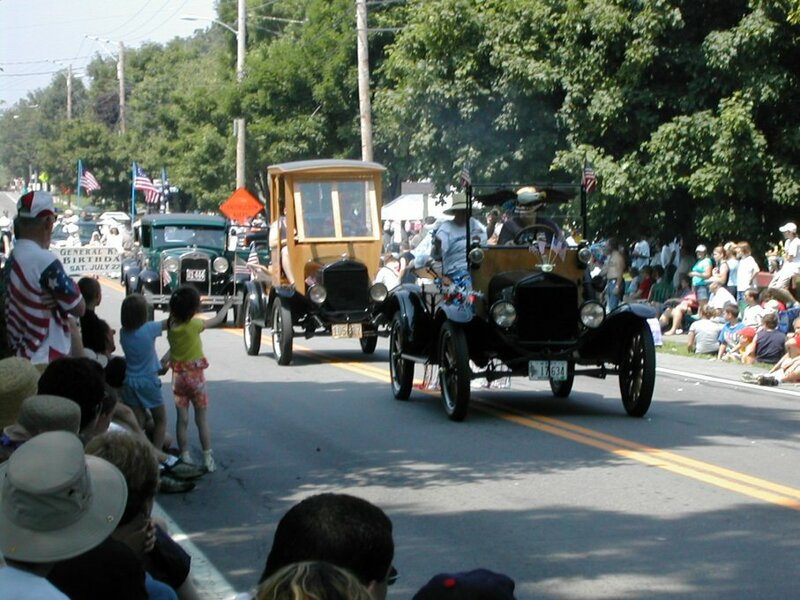 Old cars are one of the favorite features of the parade which usually enjoys a fly over of an old airplane provided by the Owls Head Transportation Museum. 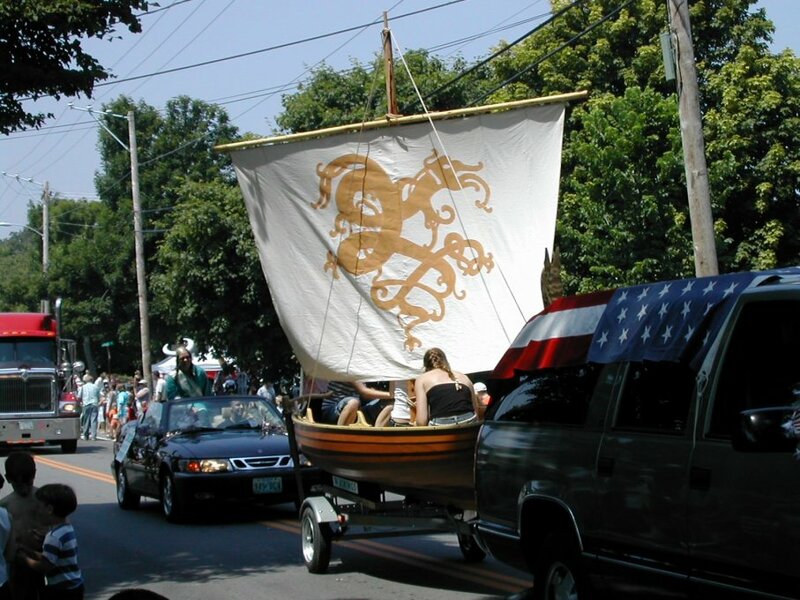 This float was a small water craft produced by the Apprentice Shop in Rockland, a school for people to learn how to construct wooden sailing vessels. This one is a replica of a small boat used by Capt. George Waymouth when he explored the Georges River in 1605. 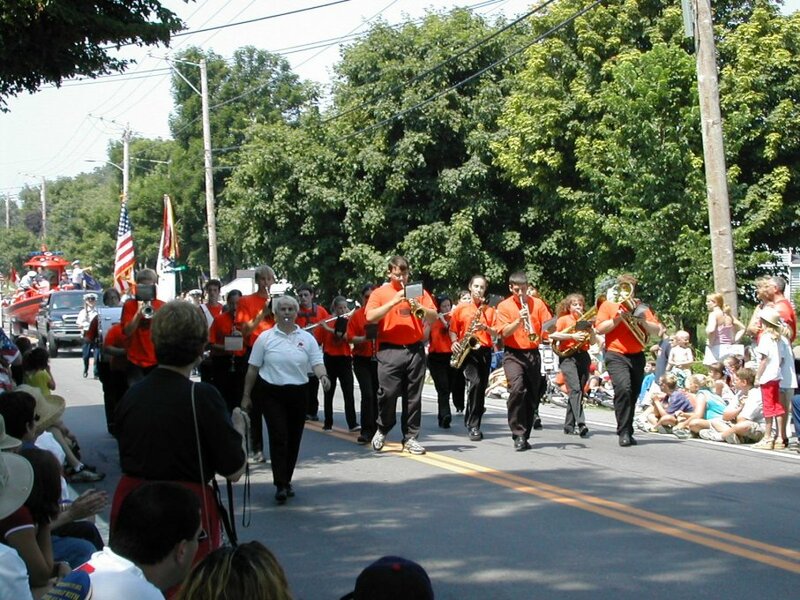 Following the parade, there is a barbecue chicken luncheon available behind the business block and the Masonic Hall, booths with other local food delights, activities for children such as a climbing wall, a variety of concerts throughout the afternoon, a tent in which local artisans display and sell their wares and a petting zoo. There are frequently other events available along the shore line and the railroad sometimes runs special rides for short trips in historic railroad cars. The day concludes with a magnificent fireworks display at nightfall (approximately 9 P.M.) that is one of the best in Maine. All in all, it is a day filled with all of the patriotic displays and activities first enumerated by our founding fathers as being an acceptable and appropriate ways to celebrate our Day of Independence.